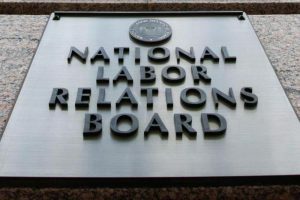 The National Labor Relations Board (NLRB) has returned to its longstanding independent-contractor standard, reaffirming the board’s adherence to the traditional common law test. In doing so, the board clarified the role entrepreneurial opportunity plays in its determination of independent-contractor status, as the D.C. Circuit has recognized. The case, SuperShuttle DFW, Inc., involved shuttle-van-driver franchisees of SuperShuttle at Dallas-Fort Worth Airport. Applying its clarified standard, the board concluded that the franchisees are not statutory employees under the National Labor Relations Act (NLRA), but rather independent contractors excluded from the act’s coverage. These factors, along with the absence of supervision and the parties’ understanding that the franchisees are independent contractors, resulted in the board’s finding that the franchisees are not employees under the act. The decision affirms the acting regional director’s finding that the franchisees are independent contractors.